With the help of some great people at Sharp Teeth Press in Oakland, I was able to convert one of my Ink on Paper works into a magnesium etching plate, from which we made a limited edition of 55 etchings. I am VERY happy with the results, especially the insane amount of detail that remains with this technique. 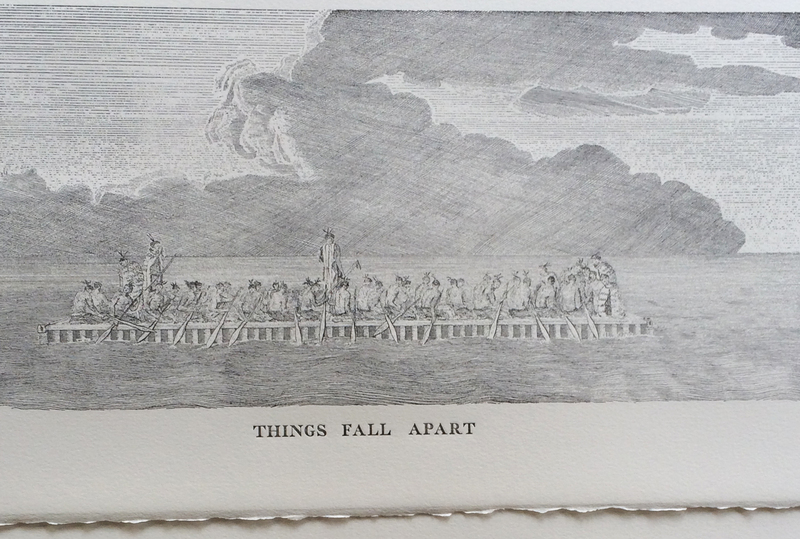 The etching print is 30x11" on nice French cotton rag paper. If you would like to purchase one of these etchings, they are $100, please contact me here and put in a request while they last. If you are in the San Francisco Bay Area, I have made two custom frames myself (seen in the image above) and you can pick up one either at Park Life (link) in the Richmond or at Establish (link) in the Sunset. Both have unframed versions as well, and are amazing shops that you need to check out if you haven't already been. All are signed and numbered....and thats it. Categories: Announcements. Bookmark the permalink. 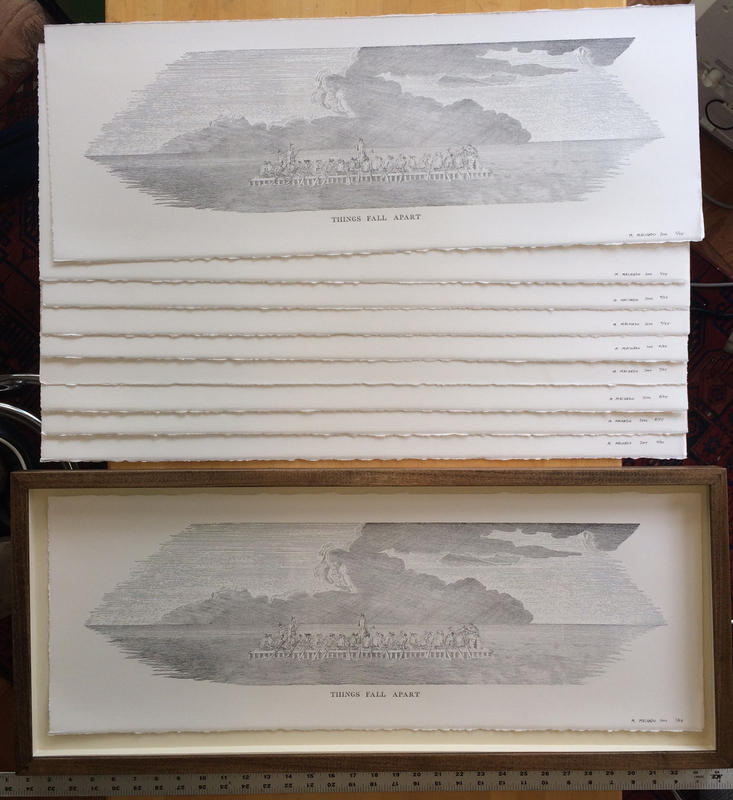 Comments Off on New Limited Edition Etching!